This site presents new, fully texted and annotated editions of the songs transmitted by the Copenhagen chansonnier and of the concordant versions in the other ‘Loire Valley’ chansonniers. The number of different songs, which is included in the edition, is still expanding, and it probably will expand further depending on the focus of future research, but completeness in relation to the total repertory of the five chansonniers is not a gaol within sight. It is an open access project, free for all to use in research and performance. It is furthermore open for discussion and for participation in the research itself. Any contribution published on these pages will be fully acknowledged. This project might eventually lead to the creation of some sort of network for researchers-performers interested in the French chanson of the late fifteenth century. The five more or less related sources offer an exceptional opportunity to study a genre – or a complete world of art music – in change. They exhibit a rare snapshot by virtue of their genesis during a very limited period of time seen in relation to music’s slow development towards a modern art music – as music created by musicians who regard themselves as artists and address a knowledgeable public. This moment frozen in time, which we can glimpse by studying their testimony as cultural artefacts as well as musical sources, offers a rare fullness not only of music but also of agents outside the circle of composers, persons whose acts were crucial for the dissemination and performance of the music, and in this case for its preservation. They are the scribes of the manuscripts and their customers whose preferences and artistic leanings were decisive for the makeup of the chansonniers. The clustering of such agents makes it possible to draw a fairly detailed picture. Moreover, it is to great advantage that the work of one single agent, the so-called Dijon scribe, is copiously represented. His work shows such a degree of continuity and development that it can be used as a reference for the placement of the work of the other scribes. The songs in formes fixes, the primary repertory of the chansonniers, have roots far back in the history of courtly culture, at least back to the first part of the 14th century, and possibly the genre can be seen as the continuation of on the one hand the songs of the trouvères and of the intellectual motet on the other. 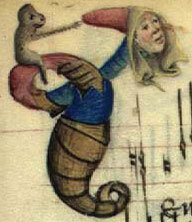 The character of the chanson changes during the middle of the 15th century. A field of tension formed by the Burgundian courtly culture, the cultural plurality of the French kingdom, and by the Italian (or international) close attention to Francophone culture possibly effectuates this change. From the 1440s onwards the chanson to a still greater extent produces international ‘hits’ and supplies raw materials for the musical genre of the highest representativeness of the period, the cyclical mass. But, while the mass has to be strongly attached to institutions of a certain size and power (not least economically), the chanson to a much higher degree plays out its roles in an intimate sphere. The entrance to the edition is the table of contents of the Copenhagen chansonnier - click on its name on the front page or in the left column on all pages. A selection of songs in the related chansonniers is also available, see the separate tables of contents (available in the left column of all web pages). The tables of contents also have links to descriptions and online facsimile editions of each manuscript. Alternatively, the Index of compositions by title or by composer can be used (click in the left column). The chansons included in the edition at the present time are marked with an * (asterisk), clicking on the title gets you to a page with a list of sources, an edition and English translation of the text, and comments (more or less extensive) on the sources and the chanson’s text and music. This main page of each chanson contains links to the editions of the music in the different sources as PDF files - click on PDF to see or download it. Most browsers offer the possibility of keeping windows open in different tabs to look at side by side or alternatively. In addition, the page contains links to facsimile editions of all five chansonniers. The lists of sources for every chanson have no ambition of being complete. Sources later than c. 1525 are in general omitted, likewise late printed editions and quotes or mention in theoretical writings (information of this sort can be found in other catalogues, especially Fallows 1999). Editions include only current editions based directly on one of the five chansonniers (conflated editions and similar are silently ignored), difficult to get at editions in not published dissertations are not included. Some duplication of material between the comments on the individual chanson and the supplementary texts (articles and notes) has been unavoidable. The printing of html pages works using Firefox, Safari, Opera, Google Chrome and newer versions of Internet Explorer. My study of the Copenhagen chansonnier reaches back to the mid 1980s, to research done for my dr.phil.-dissertation on the French musical manuscript in the Royal Library, MS Ny kgl. Samling 1848 2° (see Christoffersen 1994). To my great luck, I then had the opportunity to work as leader of a small, professional vocal group, the Ensemble Charneyron. This made it possible to try out the artistic scope of the genre in concerts and radio productions. We did not perform songs solely from the big retrospective manuscript (Copenhagen 1848, c. 1520). The Danish Radio generously let us work through a varied repertory from Machaut and Landini to Compere and Verdelot. There was also room for presentations of single sources, among them the small chansonnier Vokalmusik i Handskrift 76a in the University Library of Uppsala (see The Uppsala Chansonnier MS 76a), and the Copenhagen chansonnier was the subject of two radio programmes in 1989 – all based on my transcriptions and new research. I wish here to express my gratitude to the Danish Radio for its then adventurousness and open-minded attitude towards music outside the beaten track. Having completed the dissertation in 1988 (in Danish), I obtained a grant from the Carlsberg Foundation for half a year, which permitted me to continue my research on the smaller Copenhagen chansonnier, which resulted in fully texted transcriptions of its entire repertory. The late Svend Hendrup, associate professor of the then Department of Romance Languages, University of Copenhagen, had during the whole process been a faithful advisor on the editing of the French poems and the pronunciation of the words in performance. I still rely on his invaluable help in the editions and on the memory of his friendship and advise. Much of the material was ready at the end of the 1980s, but publication on the web only started in 2007. There are several reasons for the postponed publication. From the beginning I wished to publish the songs as performances on paper according to single sources (see further below). However, a printed edition based on the Copenhagen chansonnier alone could only create an incomplete and one-sided picture of the songs (and the edition by Knud Jeppesen (Copenhagen 1927) was and is still highly viable). The possibility of obtaining financial support for an edition of a greater scope than that was clearly not realistic. Furthermore, I realized that the research on the related sources had not yet reached a stage of development comparable to the pioneering work of Jeppesen, and that I did not have the time and resources to do this on manuscripts, which are located far from Copenhagen. The conditions for resuming the project only came in existence when David Fallows' indispensable A Catalogue of Polyphonic Songs, 1415-1480 (Oxford UP) appeared in 1999. The catalogue offers with its wealth of factual information and lists of concordances the necessary survey of the material. The same year saw Jane Alden’s PhD-dissertation, Makers of a Songbook: The Scribes of the Laborde Chansonnier, which treats the manuscripts in a cultural context, and highlights the unique role of the scribe as an independent agent in an artistic process, in which the selection of the repertory, the writing and illumination of the pages, and the book production itself all contribute to the individual cultural artefact, the chansonnier. Jane Alden’s analysis of the chansonniers has since been expanded in her book of 2010, Songs, Scribes, and Society. 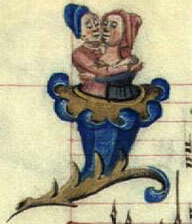 The History and Reception of the Loire Valley Chansonniers (Oxford UP). Taken together the research of Fallows and Alden opens up the manuscripts for the sort of research, which I wished to continue. The last condition was the maturing of the Internet. It permitted the publication of nearly unlimited numbers of alternative interpretations of songs as performances based on different sources (see further my paper ‘Publishing 15th century music: Open Access and Digital Editing’). The transcriptions offered on this site represent performances. More precisely they are interpretations by the editor of the songs performed on paper by the scribes of the individual chansonniers. I am well aware that the pendulum now has swung back to publishing new editions of old music in transcriptions, which use the original note values and clefs, and not infrequently in a graphical notation that tries visually to replicate the original mensural notation. In spite of these trends, I hold on to the reduction of note values in the relation 1:2, which for a long period was standard in academia, and to modern clefs. By this procedure I unequivocally signal that the transcription is an interpretation of a source, and that it does not claim a status as a text, which covers the source and the original notation 1:1. This status belongs to the source alone or if necessary to its representation as facsimile – today all the ‘Loire Valley’ chansonniers are accessible in digital facsimiles online. The shorter note values enable us better to take advantage of the modern binary notation of rhythm without frequent recourse to unusual long note values (however, a brevis may be met with off and on, and rarely a longa). I regard editions in score appearing in some sort of look-alike mensural notation as self-contradictory, if the intention is to clarify the relation to its source – the dynamic 15th century notation defies a score. But, of course, even my transcriptions contain all the information necessary to reconstruct the original notation with the help of incipits and markings of ligatures and coloration, and all editorial changes and additions in the form of text lines and accidentals are clearly indicated on the pages. The transcriptions must be regarded as performances on paper, and they reflect the editor’s preferences and experiences from studying many sources and from performing the songs. I have maintained the principle of full text underlay of all voices. Praxis gives evidence that the lower voices (often not texted in the sources) contribute strongly to the musical expressiveness of the songs; and in most cases the texts fit the musical lines quite naturally in ways, which probably were broadly intended by the composers. In the few cases where this is not so, it is quite remarkable. However, this is a topic for further research. It has been a conscious intention to keep the number of data concerning each chanson within reasonable limits. Here the many editions of only slightly different versions have been helpful. The alternative, the ‘critical’ edition, has in many cases resulted in material, which is useless for research, when it consists in a conflation of many sources with variants tabulated in endless lists, hard to survey and encumbered by the unavoidable misprints and errors of reading. Each version in the five related chansonniers is regarded as a valid performance of the chanson by the scribe/musician, and therefore is published separately. A result of this strategy is that editorial intervention can be kept at a minimum. In most cases there will be no attempts to conjecture the intentions of the composer or to reconstruct exactly what the composer had written when the music left his pen. Rather it is about attempts to interpret the written music in largely the same way as 15th century performers may have read it – with the scattered bits of 15th century evidence and practical experiences as guidelines. Many details, which in one source are different from other sources, must be accepted by the editor as valid elements in a performance of the actual source. And it now and again surprises that elements, which in conflated editions would have been edited away or hidden in tables, appear meaningful – and sound well. Of course, we still find writing errors and oversights, which the editor has to consider, and which we must presume that the contemporary performers knew how to handle. Traditionally, the creation of the five related chansonniers has been regarded as a process stretching from the early 1460s into the 1490s – including most of the additions to their repertory. This temporal span must now be compressed into a much shorter period of time concentrated to the 1470s. Jane Alden has argued for slightly later datings than the traditional ones, but she extended the period for most of the additions into the 1480s or later (Alden 2010, p. 129). My preliminary datings, which are summarized in the table below, build on well-known data, which have been re-interpreted in the light of the findings in the repertory discussed so far on this site. All information concerning the sources can be found on their individual pages under Description. Two areas of research have been of special importance for the re-interpretation: First, a renewed assessment of the chansons of Philippe Basiron is crucial for the dating of the Wolfenbüttel and Laborde chansonniers, see my article ‘The chansons of Basiron’s youth and the dating of the ‘Loire Valley’ chansonniers’. Secondly, the fact that writing hands of the additions to the Dijon and Laborde chansonniers reappear in the younger French chansonnier in Florence, Biblioteca Riccardiana, Ms. 2794, is evidently important for estimation of how long a period of time their genesis might cover, see further ‘The French musical manuscript in Florence, Biblioteca Riccardiana, Ms. 2794, and the ‘Loire Valley’ chansonniers’. Jane Alden’s chronology of the changes in the handwriting of the Dijon and the repertorial relations between the sources must also be mentioned as decisive elements. The MSS are listed at left (the related sources in bold), and for each the schematic representation of its genesis occupies a horizontal line. The work of each scribe is marked in different colours. The colour of the Dijon scribe is red, and it is evident that he was involved in three different manuscripts, Dijon, Laborde and Copenhagen. The Laborde, Wolfenbüttel and Nivelle main scribes are green, blue and yellow respectively, and the workshop of the Florence 2794 scribe is given the colour orange, as are the contributions of its hands A and B to the Dijon and Laborde chansonniers. The key to understanding the destiny of the chansonniers is a classification of them into two groups. First we have a group of three small, elegant and finished song books, which were ordered, produced and delivered to customers (Nivelle, Wolfenbüttel and Copenhagen). The second group, also of three chansonniers, consists of failed projects – books ordered, but never delivered to the original customers (Dijon, Laborde and Florence 2794). They remained unfinished, were revised and extended, stalled in production, and stayed for long time in the possession of the respective workshops. The choices of repertory clearly show that the Laborde and the Wolfenbüttel scribes worked near each other and by and large simultaneously; we could say at location A. Likewise the Dijon scribe started out in surroundings very like the ones of the Nivelle scribe – at location B. These locations could be in different cities or they could represent different circles at different times (or different book entrepreneurs and their customers). The evidence known today does not permit us to pinpoint these locations with any confidence. Tours, where the king and the royal chapel resided for long stretches during the period, Bourges, where a good part of the illuminations of the manuscripts may have been executed, and Paris with its flowering book production, its connections to all parts of the realm, and not least with lots of customers for such luxury articles, must be the main candidates. It is evident that the majority of the scribes were experts in such manuscripts, and that they did produce many more, now lost, small chansonniers. · The Nivelle and Dijon scribes worked on their commissions at the end of the 1460s at location B (Tours / Paris?). The Nivelle chansonnier was finished and delivered. The project of the Dijon scribe was a normal size chansonnier, and it was sent out for decoration (at location A, Bourges?). Then it floundered, was sent back to the scribe half-finished, and he decided to expand the chansonnier to nearly double size. · A similar story played out at location A (Bourges?). 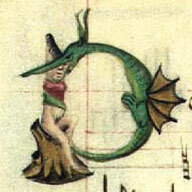 The Wolfenbüttel scribe made his chansonnier, had it decorated locally, and delivered it. 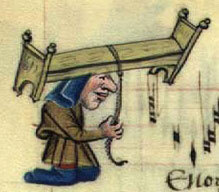 The Laborde scribe quite suddenly had to stop work on his elegant chansonnier of very small format. · The unfinished Laborde chansonnier was sent to the Dijon scribe who quickly completed it and sent it back to location A for decoration. 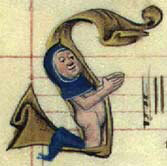 Now the customer failed him, and the Dijon scribe decided to expand also this chansonnier. · A new patron was found, and the Laborde chansonnier got its second set of decorations, which included the new patron’s coats of arms. However, the work stopped again, and the pages were returned unfinished to the scribe. · The two now very big chansonniers remained in the possession of the Dijon scribe. Meanwhile he probably produced many small chansonniers for wealthy patrons. The Copenhagen chansonnier is an outstanding example of this activity – it was decorated by the workshop, which earlier had done the Wolfenbüttel chansonnier (at location A). · The owner of the Nivelle chansonnier wanted to update its repertory and had a workshop at location B to do the work. One of the scribes used an exemplar for his copying, which was very similar to the one used by the Dijon scribe for his last works. · At some point in the mid 1470s the Dijon scribe went out of business, and his enterprise including the two unfinished chansonniers was taken over by a new scribe. He and his colleagues supplemented the repertory, adding among other pieces songs by Fresnau and Compere, who probably just had entered the royal chapel after their return from Italy, had the manuscripts organized and bound, and finally delivered to customers. The Florence 2794 manuscript begun a short time earlier by the new main scribe remained unfinished for several years and never obtained any attractive decorations. With the edition of the Copenhagen chansonnier completed on this website, a primary goal becomes to analyse in greater detail the Dijon scribe’s activity as copyist-performer and as editor of music. The Copenhagen Chansonnier is still central to this examination, as it seems to represent his final thoughts on some chansons. Several of them are in reality unica, because we only know them through his pen in two or three manuscripts, see further my preliminary study ‘Busnoys in the hands of scribes, or: What did key signatures mean to the scribes?’ I think that such an analysis has much to reveal about how music was understood, performed and transmitted. Another pressing task is to research the multifaceted relations between music and poetry. During this period it was important to master artful poetry as a competitive element of social interaction as well as a creative skill, if an ambitious person strived for success in elevated circles. The existence of the chansonniers and their musical repertory may indicate that a similar competitive incentive can be traced in at least the production and enjoyment of secular music (cf. my forthcoming article ‘Music, Competition and l’Art de Seconde Rhétorique: The Youthful Chansons of Gilles Mureau and Philippe Basiron’).